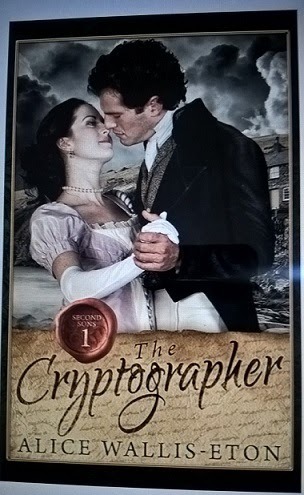 The Cryptographer by Alice Wallis-Eton is the story of a young woman, Aster Tanner who is an orphan and working as a cryptographer but despite her intelligence she has to hide her true role because she is a woman. 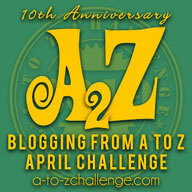 Iain McIntyre is given a secret mission to find a rumoured list of traitors against England. He is sent to investigate anything unusual and retrieve the list. On meeting Aster, he is both fascinated and suspicious of her working in a supposedly man's job. Is she a spy sent here to find the list before he does? This is the first book by Alice Wallis-Eton and the premise is what attracted me towards it. I enjoy reading historical romances and if one has spies, suspense, the thrill of danger along with the heart racing anticipation of first love then yeah, it's a book I know I am going to grab! The cover is engaging, the title intriguing and the blurb interesting that all these are sure to attract a reader's attention. The plot idea is new and the author executes it in a promising way. However, I did feel that some parts especially the end part could have been handled better. The main story of finding the list took a backseat to give the protagonists' romance speed in some areas which somewhat halted the pace of the story. The world building is admirable and I could visualize the records office where Aster worked with soldiers marching outside while she sat silently decoding sensitive and secret messages received during the war with Napoleon! I enjoyed meeting Iain and his three friends/comrades who are all second sons and so not in line for their family title. This series focuses on second sons so I think we will be meeting Seamus, Quinn and Aibne in their own stories in the subsequent books. All four of them are quite different in their nature and yet fast friends and good soldiers. Their banter with each other and seamless understanding was quite entertaining to read about all through the book. Aster is a strong character. She has fought and made a place for herself in a man's world. Possessed with quick wit and sparkling intelligence, her interactions with Iain were both interesting and fun to read about. Romance between these two started slowly and then built which had me rooting for a happily-ever-after for them. I also enjoyed meeting Iain's Scottish aunt and hope I meet her again soon. The story is told both from Iain and Aster's perspectives. While it is an engaging and lovely execution, some parts looked just too sudden and out-of-place like the celebration and intimacy between Aster and Iain right after someone's death which in all expectancy should have devastated them. Then at some places, the characters looked too modern for that time in terms of their dialogues and even actions. The story started slow and then picked up pace. I completed it in one sitting and it had me engaged all through. The end is a happily-ever-after but also leaves an opening for the next book. All in all, The Cryptographer by Alice Wallis-Eton is an engaging, entertaining and suspenseful book that I enjoyed reading and recommend to all lovers of historical romances and/or suspense stories. 3.5 out 5 to it from me and I look forward to reading more from Alice in the future. I received the book from the author and I am very thankful to her. The above review is my honest and unbiased opinion and in no way influenced.